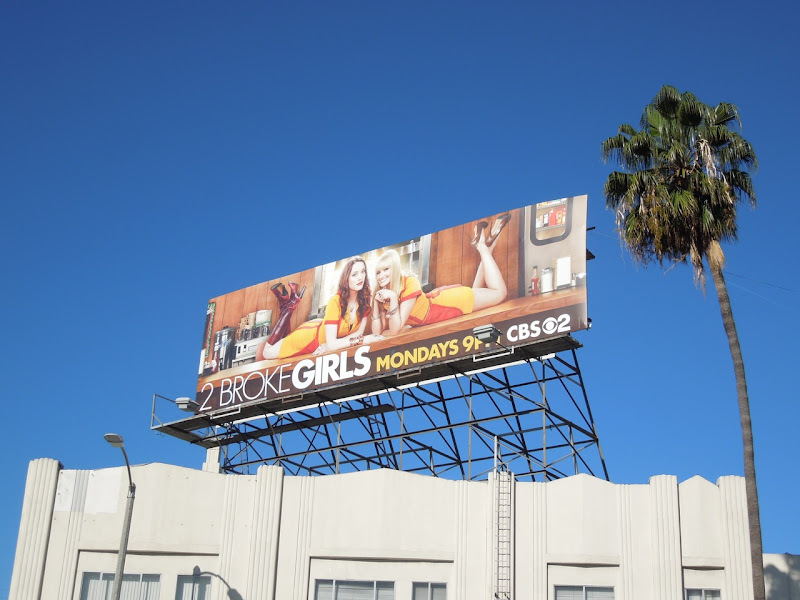 Here's a much more polished billboard for the second season of 2 Broke Girls, the sitcom about the unlikely friendship between two waitresses working at a greasy spoon diner who have big business aspirations, if they can raise enough cash. This creative featuring Kat Dennings as the sassy, streetwise 'Max' and Beth Behrs as the down on her luck trust fund princess 'Caroline', really is a big improvement over the series premiere billboards for the show which debuted in August 2011. 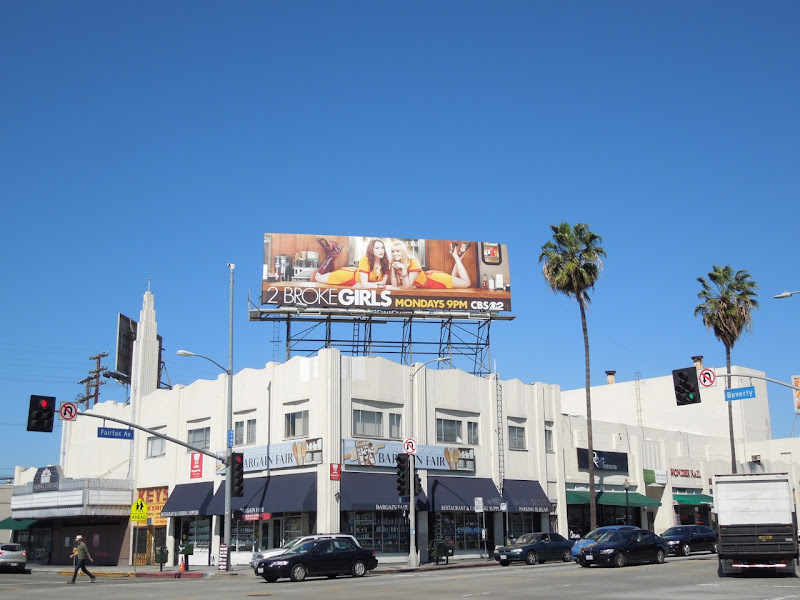 This sophomore season billboard which quickly conveys the setting of the sitcom was snapped on the corner of Fairfax Avenue and Beverly Boulevard near CBS Studios on March 10, 2013. 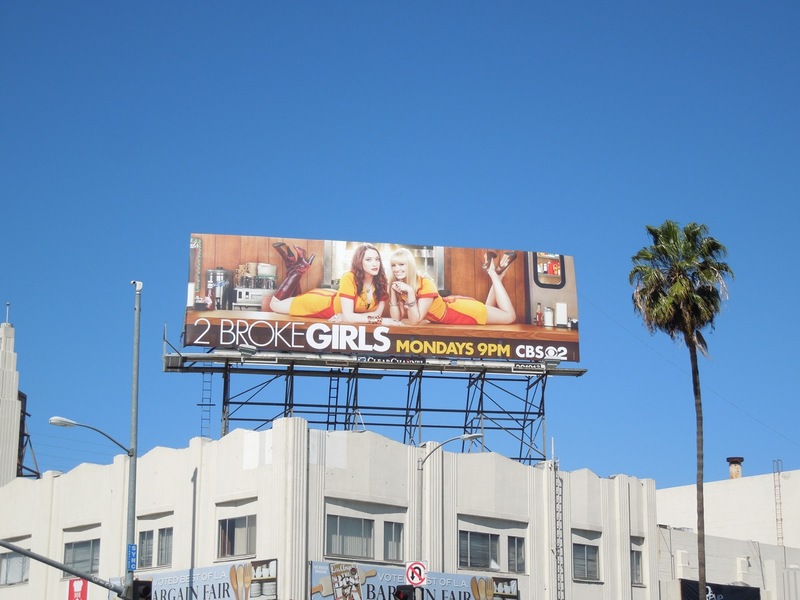 If you're a fan of the show, be sure to check out these 2 Broke Girls season one billboards that helped launch the hit comedy.